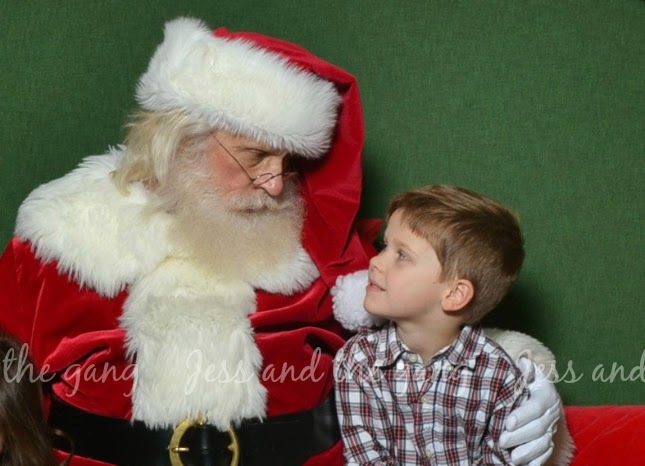 ^^ Connor having a moment with Santa. Isla did not want anywhere near Santa. In the first couple pictures, she was screaming. The photo girl was determined to get a good picture. I finally convinced Isla to stand next to Santa and she did it without crying. 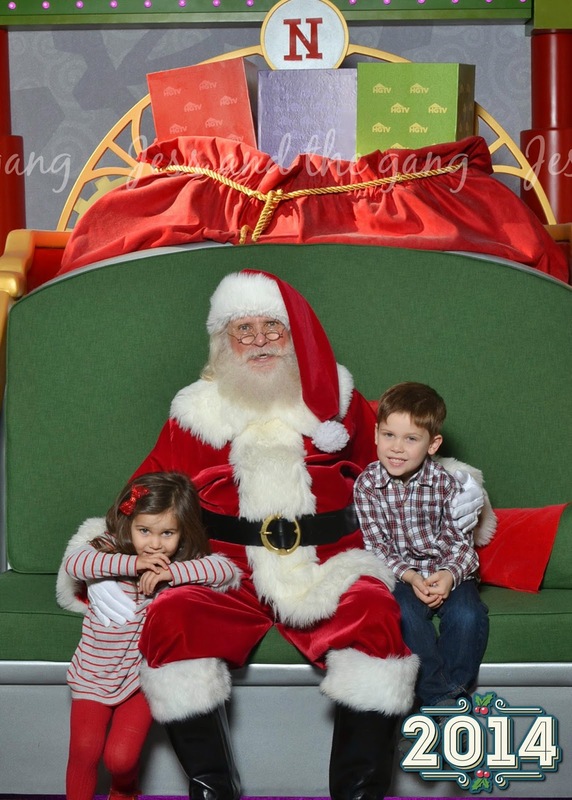 The photo girl wanted to keep trying, but I feel like each Santa photo kind of tells a story of that year. And it totally got me thinking about how traumatizing it must be for my kids to be thrust into the lap of a perfect stranger. It even sounds like torture when I describe it like that. But, they survived another year of it. In case you care, here are the Santa pictures from years past - 2013, 2012 and 2011. I kind of love that they now provide the digital copies of the pictures. 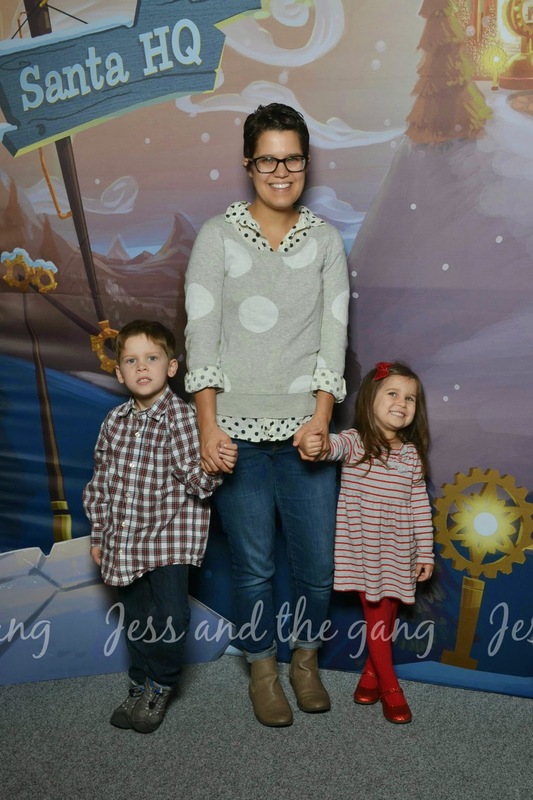 It makes posting them on my blog and putting them in picture books so much easier! And I adore Isla's tights and shoes! !